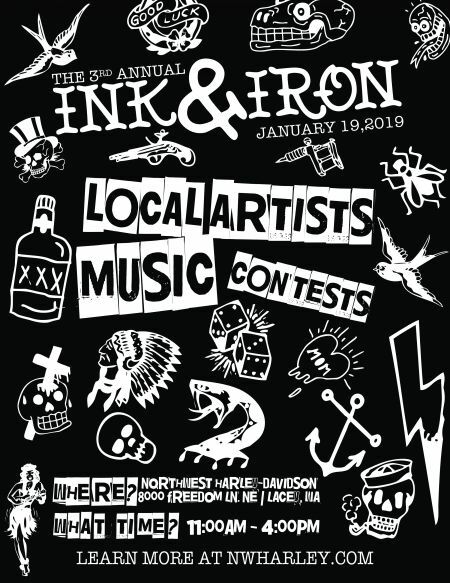 Join us for our 2019 Ink & Iron show. Come on down and check out the work of some the best tattoo artists in the area. Get some ink done that day or enter the contest ($5) with a piece from your personal collection. Each category will crown one winner with prizes. Judging each category will be our featured tattoo artists. Featuring local tattoo artist, motorcycle & entertainment!